You are probably here because you have been served with a credit card debt summons. If that is the case, you are at the right spot! Our site is specifically designed for anyone who has received a summons from either a junk debt buyer or an aggressive credit card company. We provide you with free information used by thousands to win real credit card lawsuits, and get debt litigation cases dismissed! The most important thing you can do right now: Answer Your Summons! Is it the original creditor filing the complaint? Do the third party collectors have legal claims to debt? When does the court expect a response? 4. Send Discovery Documents Request to Creditor The Discovery phase allows each party to obtain evidence from the opposing party before going to trial. Discovery documents include: Interrogatories, RFA and Request for Documents. Determine which pieces of information the creditor has that you need and create discovery requests to obtain them. The Creditor must have documented proof of your debt so force them to show evidence. This is where many cases are won by the Defendant. 5. File a Motion to Strike the Affidavit of Debt An affidavit of debt is a sworn statement from the collection agency stating that they are aware of the methods of record keeping at the original creditor concerning the debt in question. This is how they certify that the information in the complaint is true, but oftentimes the creditor’s affidavit of debt is fraudulent and you must file a motion to strike. If a court summons is answered the correct way it is highly likely that the collection agency will drop the case or it will be dismissed because collection agencies don’t want to deal with people who know their rights, challenge them and actually know what they are doing. Third party collectors rarely have the necessary evidence and will either drop the case and give up or the case will be thrown out due to lack of proof. If the Defendant fails to respond to their debt summons he or she will automatically lose by default judgment. Ignoring the summons or answering too late results in a default judgment, and the creditor walks away with even more of the consumer’s money than necessary. The collection agency that is suing expects the consumer to do one of two things: (1) Call and settle the case, or (2) Ignore the summons. Name of the company or original creditor If they cannot prove that they actually own this debt and can sue you, you win! Proof of assignment If the debt buyer cannot prove it has a valid chain of assignment back to the original creditor, you win! Signed documents/contract If they cannot prove that you owe the original creditor the stated dollar amount you win! Credit Card statements showing how they came up with the amount Defendant is being sued for If the debt buyer doesn’t have evidence of this credit card account, there is reason for dismissal! Make them prove it down to the last penny by providing such documents. The Plaintiff must show that they are listed as the Assignee of the bank you originally opened your credit card with, otherwise, you win! If the creditor’s attorney cannot prove any of this to the Defendant, they cannot prove it in court, and will lose the case. Is my money safe? This is a common question leading many to analyze whether to keep their checking or savings account with the bank that also provides their credit card. There are definite advantages to having the accounts linked, the ease of simple online payments being one of them. At the same time, promises of appealing rewards in return for our loyalty to their products persuade us that keeping everything in one place is a good idea. And yes, it can be… up to a point. Banks have their own interests firmly in mind when they encourage you to use all of their services. For you, the risks of having the accounts so closely linked become greater if you start to have financial problems. For example, if you start to have difficulty paying your credit card bill, your bank can take control of every other account you have with them and the money stored within them. Despite the fact that banks are not legally permitted to freeze your checking or savings account when you default on your credit card payments, it is not uncommon for rules to be broken or manipulated in such circumstances. After failing to pay their credit card bill, customers have found that their checking account has been mysteriously frozen and funds taken without permission. If you’ve been unfortunate enough to experience this, you do have the legal right to sue the bank for unlawfully freezing your accounts. Still, this route is a long and difficult one. A more desirable and simpler course would be to avoid this scenario completely. How? Move your money! Where do I move my money? In order to reduce the risks mentioned above, it’s important not to move your money to an account linked to your social security number. An easy option is to open an LLC or small business account as these are registered using a unique tax identification number and not your social security number. 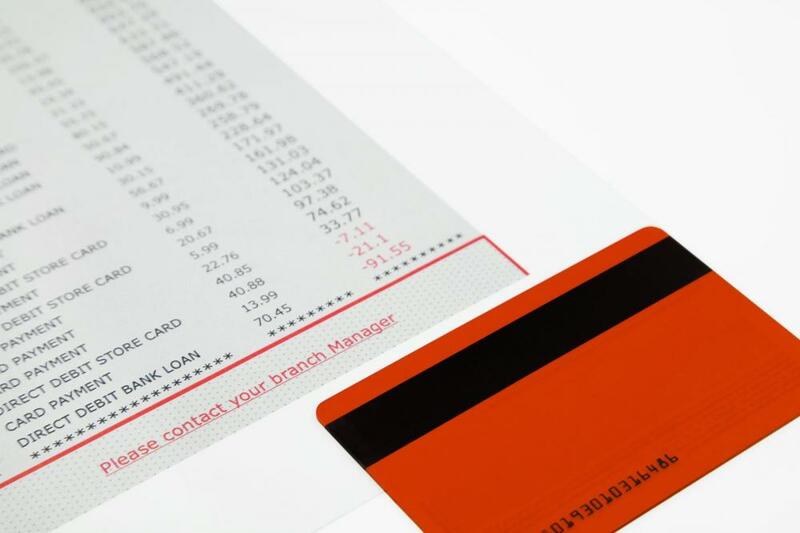 It’s important to note that it would be prudent to choose a different bank to the one that supplied your credit card. Although this new business account is not linked to your social security number, it will have your name associated with it. This may lead to problems when it comes to any credit card debt you may have. Therefore, it would be best to create the new business account with a completely separate bank. A second option is to move your money to a friend or relative’s bank account. Needless to say, the person you chose should be a trusted associate and someone unlikely to take advantage of your situation. If you choose this option, it can present some inconveniences such as dependance on another person, and not being able to sign checks or have an ATM card. Alternatively, some consumers have found that putting their money in a trust has worked effectively. Setting up and moving money to a trust may be slightly more complicated than the other options mentioned but it might be worth investigating all the same. Ultimately, as long as your money is in an account that doesn’t have your social security number attached to it, it is much safer. In summary, if you are fighting credit card debt with a bank that also provides your checking and savings account, it’s vital to move your money without delay. Wherever you choose to move your money, make sure it is to an account that is not associated with your social security number. This could be 1) a business account, 2) a trusted friend or relative’s account or, 3) a trust fund. Choose the best option for you personally, but be sure not to leave your money with the bank seeking to collect your credit card debt. Don’t get complacent. If you think there’s no real risk, think again. The banks have rights and they’re not afraid to use them! The reason this is so urgent is because banks will pursue that debt until they collect in full. According to the law, they are permitted to collect the debt amount from any other account you hold with them. This is called their right to “set-off” accounts; it’s their right to pay off your debts with money from your other accounts in their bank. The Bank may, without notice, set off a debit balance on an account against any account with a credit balance or held by the same account holder. They can and they will do this ‘without notice’ and without a second thought. To illustrate the gravity of the situation, imagine the scenario: you have done your banking with the Bank of America for 15 years. You have an active checking account and you have built up a good reputation and relationship with the bank. During this period, you were also issued with a credit card with a credit limit of $30,000, which you promptly pay off each month. Also with the Bank of America, you opened a savings account for your kid’s college fund and over the years you have painstakingly saved $35,000. Things are going pretty well and your family feel secure. That is until you get into a bad accident. 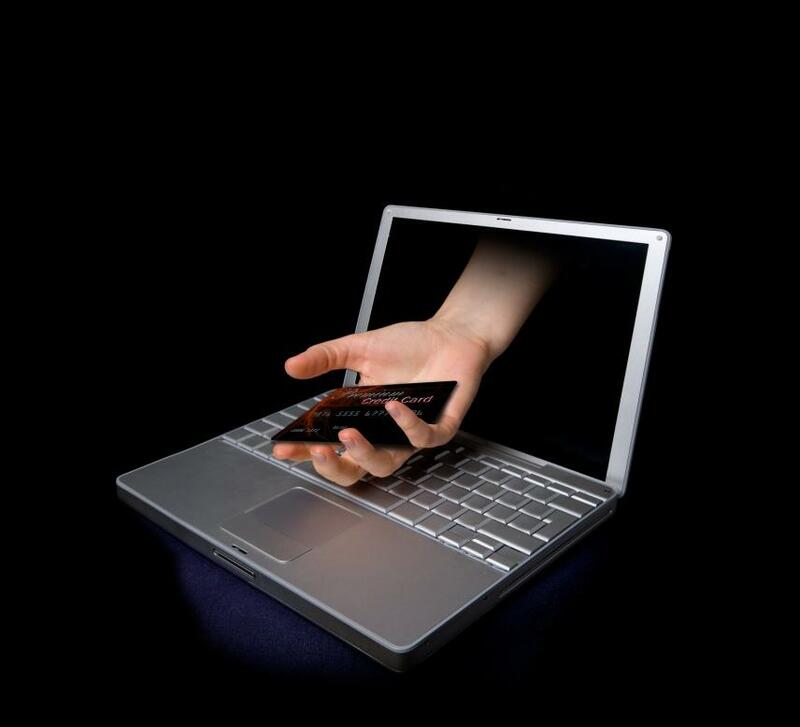 The resulting medical bills are immense and you use your credit card to pay them. On top of that, during your lengthy recovery, you’re unable to work. It soon becomes clear that there’s no way you can keep up with the monthly credit card repayments and you begin to default. After the Bank of America fail to collect the debt routinely, they see that the money is actually sitting in your savings account; they use their right to set-off your accounts, taking the money from your savings account and wiping out your kid’s college fund. Can you imagine how devastating that would be? Banks have no interest in your personal mitigating circumstances. They are not concerned about what state they leave your family in. They want your money and if it’s sitting right there in their bank, they will take it. However, the right to set-off accounts is only applicable when all of the accounts are maintained by the same establishment. So, the risk of this happening can be easily avoided by moving your money out of the bank that provided your credit card, especially if you are disputing unpaid debt. Protect yourself, and your future by transferring your money to a different account. Act quickly and get one step ahead of your bank, who could at any moment exercise their right to collect your hard-earned money from your other accounts. You may think that it’s just an empty warning, but the fact remains that credit card companies and debt collection agencies that often presuppose old debt, can and will, prosecute you for amounts outstanding. In fact, they aren’t lawfully allowed to intimidate a lawsuit if they do not plan to go through with it. It is important to be aware that lawsuits aren’t the only collection methods that lenders have at their disposal. A systematic understanding of all of their strategies is indispensable to lessen the downbeat consequences that can erupt from borrowing greater than you can manage to pay back. In this method, the credit card misdeed will begin a few rounds of warnings and noticed against you. You will be recurrently made aware about the missed payments and requests for payments will be made. Also, you will be acknowledged about legal consequences of not doing as stated by the creditor and debt collection agencies in the coarse correspondence. The creditors may prevent you from continuing to use your account to mitigate the risk of further non-payments and clout inconvenience to garner money from you. Even though you might not be refrained from using the account completely, the debt collection agency might reduce your total limit to or below the current balance. As your debt situation starts taking a worse route, the danger of a lawsuit, cleaned out credit, and unremitting phone calls will be rampant. There might be threats – regardless of whether you are dealing with a debt collection agency or your creditor. It’s important to note that some of the tactics may not be within the parameters of the law; hence, it is essential you know your rights as a debtor. When the association between an indebted person and a creditor devolves to the point where legal action is the only way to obtain the credit card balance or compel payment for amounts owed, you shouldn’t think twice before expecting that this is what you’re going to get served with. Stuck with a credit card debt lawsuit? Find answers to all your debt related queries at HowToWinACreditCardLawsuit.net or read what our clients have to say! When a credit card debt collector threatens a lawsuit, you are legitimately on notice. The judgment, if not in your favor, can lead to wage garnishment, asset repossession, and liability for the full balance in query. When a credit card lawsuit if filed against you, the creditor or the debt collection agency will notify you of the claim, along with the date, on which you must present before the judge in court. How you get notified of this varies from state to state. However, most commonly, you may receive a certified mail. Even if you are extremely sure of the fact that you owe a certain amount, showing up in the court is indispensable as it can improve your chances of winning. The creditors and debt collection agencies usually benefit from the defendant not showing up in the court as it leads to default judgment. Moreover, by appearing in the court, you can question the plaintiff to provide solid evidence and supporting documents. In some cases, they may lack this. That’s particularly true if your credit card company trades off your debt contract to a debt collection agency. This is because the stipulations of such sales often liberate creditors from having to provide evidence for the authenticity of their reports. Devoid of proof, a debt collector will never be able to win over you. 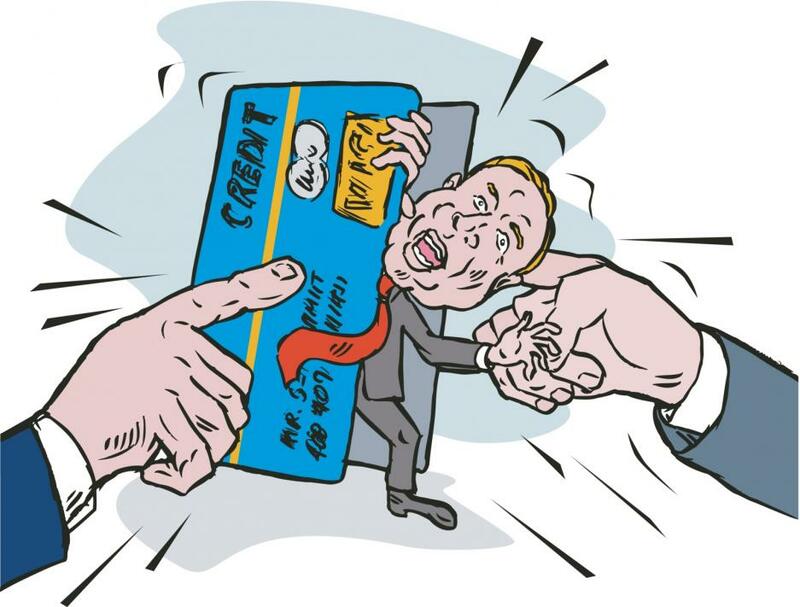 There are different ways that courts can give out a verdict on a credit card debt lawsuit. They can discharge the case upon finding out that you are indebted less than the amount challenged. Moreover, the judges can rule in the plaintiff’s favor and demand imbursement of the total balance. All in all, the decision that is eventually attained in your case will depend on your existence in court and the substantiation in opposition to you. 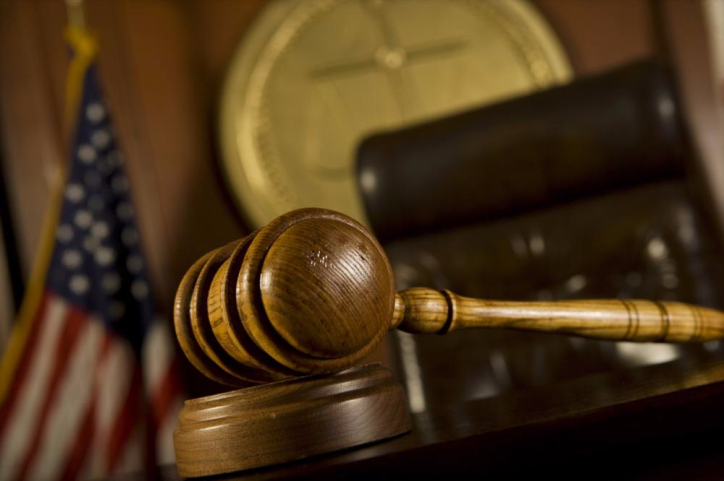 If you have been served with a summons and complaint lately and want to beat LVNV in court, we have some of the finest lawsuit defense strategies at your service. Buy our Defendant’s Package or learn more about our Discovery Package to trigger your chances of success. For Americans, credit card debt is now a new source of oppression. According to the NerdWallet survey, the average U.S. household with debt carries $15,355 in credit card debt and $129,579 in total debt! That’s a staggering statistic. 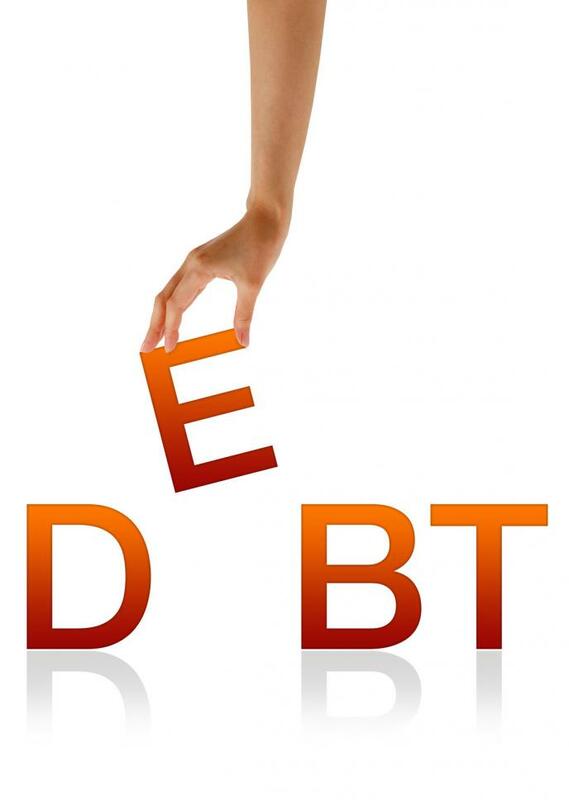 Credit card debt is truly a major financial obstacle that ties people down. Nonetheless, the subjugation goes down further when you are served with a summons and complaint. While staying committed to the idea of paying off your credit card bills every month, you should also be mindful of your expenditures and find ways of cutting back on them. Closely examine your monthly budget and try to reduce or completely eliminate the unnecessary expenses such as dine outs, entertainment, unutilized gym memberships etc. By following this routinely, you will be able to create a whole new spending plan to incorporate additional debt payments. Don’t give up on keeping track of your budget and expenditures to ensure you continue to follow it. If you have always been only paying minimum dues, it’s high time that you step up your game. There are certain credit card companies that require you to pay only 1-3% of your total bill every month, including interest and fees. If you continue to stick to this repayment plan, you won’t be able to pay off the credit card debt even after years. While you may not be able to make full payments initially, try to pay double or triple of the minimum due every month to do away with the debt faster. It is important to carefully go through your Complaint before responding to a credit card lawsuit. This involves identifying and copying all relevant information including plaintiff name, case number, jurisdiction, etc. Accurately recording this information is critical because inaccurate details may lead to a default judgment against you on technical grounds. The best way to keep track of all the relevant information you will need to responds to your lawsuit is to create a worksheet. The worksheet functions as a comprehensive document you can refer to when preparing your Summons Answer, Notice of Appearance, Certificate of Service and other legal documents. The bulk of the information needed to complete the worksheet is located on the Complaint. However, you may need to refer to other documents to get all the information you’ll need. Your credit card debt can go way overboard if you don’t keep an eye out for it. Regardless of all your positive intentions, minor over-the-budget purchases can turn your credit card bill into a hefty debt. Not just middle-aged, but college students are also partaking in credit card overindulgence. 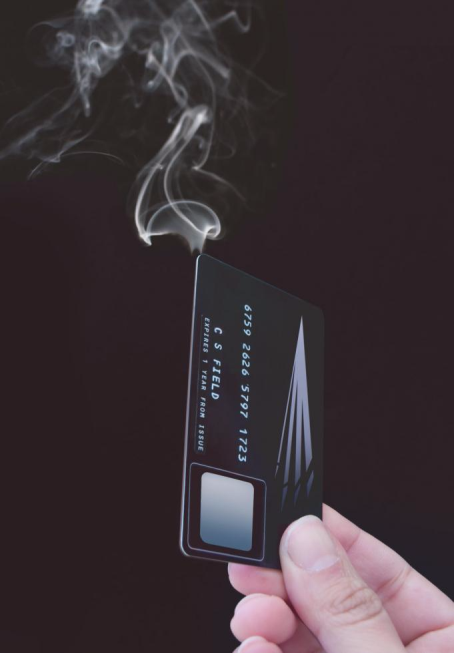 If your credit card debts are going out of hand, it’s time to take control. For this, you need to devise a plan as to how you will go about preventing yourself from plunging deeper into the credit card debt hole. If you have been neglecting your bills lately and dodging phone calls from unknown numbers, it’s a clear sign that it is credit card debt that you’re trying to thwart. Another significant clue is that you constantly refrain from discussing your finances with your spouse. The most important thing that you must understand is that ignoring or denying the debt will only aggravate your debt situation. The more you let go of your monthly credit card bills, the more interest and late payment penalties you will accrue. One of the first things that you need to do is closely evaluate your credit card bill, prioritize each item, and try to pay the minimums of the ones with the highest interest rate. People tend to procrastinate when it comes to the payment of their credit card bills. Having a specific pay off date in mind is beneficial for multiple reasons. Not only does it push you to put in your time and resources to achieve a deadline, but also gives you a sense of joy that by ‘this’ date, the stress of debt will be alleviated. Moreover, if the expected date seems to be too far, you can always re-evaluate your income and expenses to pay down the debt faster. It is surely a good idea to transfer your credit card balance to a credit card company that offers 0% APRs to pay off debts faster and reduce the interest burden. However, if you keep shifting without doing any good to your credit card debt, you are definitely stuck in a hamster wheel. Move ahead of this and make maximum progress by making a plan to knock out the credit card debt before the 0% interest period finishes. Thinking about how to win a credit card lawsuit? You have hit the right spot. Learn about some tried and tested lawsuit defense strategies and examples of summons to make the perfect move. This is the 2nd part of a 2-article series focus on improving credit score after a devastating credit card lawsuit. The first three steps in the previous article touched on how to obtain a free credit report, and the steps needed to identify inaccurate information that may hurt your credit score. This article provides the information needed to report dispute inaccuracies, and tips to get your credit clean. If you have found incorrect information or duplicates on your report, you have the right to dispute that information. 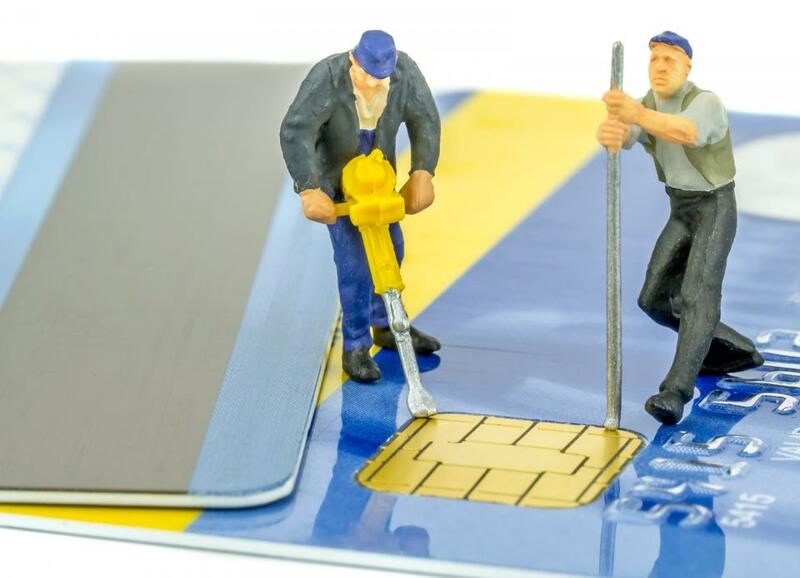 This is the most important thing you can do to repair your credit. Federal law places the burden of proof of reporting accuracy on reporting agencies. If they cannot find evidence to support negative items on your credit report, they must remove such items. You can contact the report agency by online, phone or mail. The first thing you need to do when changeling items on your credit report is to identify and collect all the information the reporting agency will request from you. This information you need to have on-hand prior to contacting the reporting agencies. This include personal information that verifies your identify, and details on disputed items that helps the agency reference the proper negative item on your report. Once you have gathered all the necessary information, you are ready to contact the report agency to report you dispute. This can be done either by telephone, mail or online. We strongly suggest you use the web forms on reporting agencies website, as this will allow you to track the status of your dispute. We strongly suggest you file your dispute online! The main credit reporting agencies now enable disputes to be filed online and this is quickest and most convenient way to do this. Fill-in the online forms and submit your dispute with as many details as possible. In some cases, you will be able to upload copies of receipts, payments, and statements to support your dispute. If you would rather, you can also file a dispute by mail. The company websites outline instructions if you decide to do it this way. What to expect after you have filed a dispute with reporting agency? You should hear back regarding the results of the investigation between 30-45 days. In the meantime, you can check your dispute status online. When the credit reporting agency inform you of their decision, they should also send you a copy of your amended report. Be sure to check all of the details again. If negative items are removed from your report, you can be sure that your credit score will improve. How much it improves depends on what negative items are removed. Some items such as bankruptcy, foreclosure and repossession are more damaging than late payments and credit rejections, although every little bit helps. As an alternative to filing a dispute with a reporting agency, you can file a dispute directly with the creditor who provided the negative information to the reporting agency. This is typically done by sending a letter (see below) via certified mail ‘return receipt’ directly to the creditor using the creditor’s contact information on your credit report. Your letter should identify each item you dispute, state the facts and explain why you dispute the information, and ask that the information provider take action to have it removed or corrected. You may want to enclose a copy of your report with the item(s) in question circled. Remember to include copies of the applicable enclosures and save copies for your files. According to the law, you should be notified when any creditors place negative listings on your credit report. In view of that, you should be aware of everything listed on your report. If your creditor has not notified you about any of the items, you should contact the creditor requesting its removal, citing their violation of the Fair Credit Reporting Act. Try, try again. Staying persistent is the key to get negative items removed from your credit report. If you have not heard back from the reporting agencies in 30-45 days after you request for removal, or your credit report is still showing erroneous information, contact them again! Reporting agencies are typically very good at responding, but it’s not unusual to have to make multiple attempts to have information corrected. Whether or not you manage to remove some damaging information from your credit report, one thing everyone can do to repair their credit report is to make sure no new negative items are added to it from now on. Keep credit card balances low. Open accounts and apply for credit only when absolutely necessary. Each credit inquiry will be listed on your report and high numbers of inquiries can affect your score. Also, subscribing to a 3 in 1 credit monitoring service such as truecredit.com allows you to keep an active eye on your score, and identify any problems quickly. The service allows you to update and review your credit score every 24 hours, so you’re always up to date. If you can keep on top of your finances from now on, gradually your credit will repair itself. Remember to check your credit report each year and follow these steps to keep your credit in good shape.